Don't be afraid to reinvent the Wheel! Photography in book-form has a long and colourful history. As one might expect, the image is the key content but there are several other important design components that define the success or otherwise of a book or zine: layout, image flow/sequence, text/typography physical size, choice of paper and binding. Multiple thousands of permutations have been tried - and are still being tried - in the history of the photobook so don't be afraid to dive in and try your own! 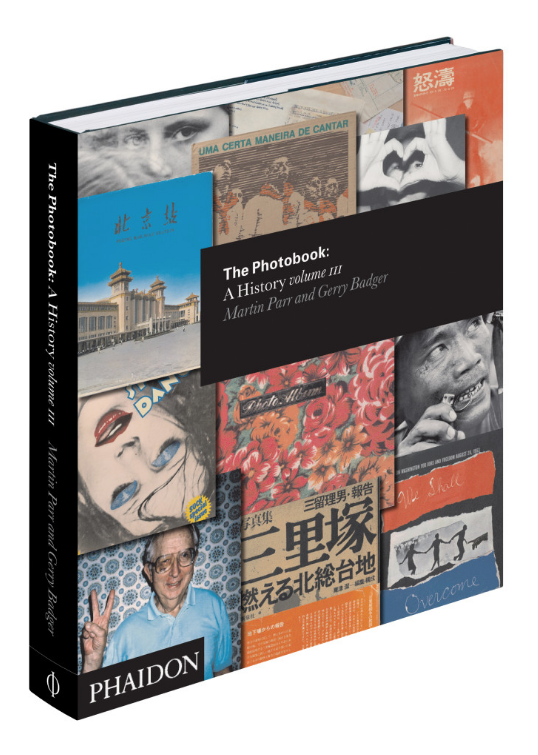 If you'd like to dig deeper into its ongoing evolution then you'd be hard pressed to find a better introduction than the 3 x lavishly-illustrated volumes of The Photobook: A History by Martin Parr and Gerry Badger (below). Before embarking on this adventure it's worth pausing to consider why you might want to print a zine or photobook of your work. If it's a personal project you'd rather keep to yourself and just add to your portfolio then a one-off handmade book or 'dummy' can be a great way to experiment with sequencing, paper types, stitching and binding. This is also common practice amongst professional and Art-based photographers as they design and plan photobooks to be printed in larger quantities and sold commercially. If you go this route, consider having your images printed at a local copy centre by supplying them with files on a USB stick - this can be considerably more cost effective than printing via inkjet at home and the results can be excellent - if not better. Alternatively, if you want to take the first steps in printing a small number of photo zines of your work to swap or sell to cover your print costs (usually to other photographers!) then new technology now offers very affordable options compared to more traditional and expensive print. Many reputable commercial Print companies now offer digital print as an alternative to offset-litho for smaller print quantities but still provide the face-to-face discussions, handle specific size and finishing requirements and provide proofs for you to approve before running the final copies. There are also a few commercial printers offering digital print but specialising in taking orders online - where you upload your final artwork (typically a CMYK PDF file) and can choose a way of testing or proofing your book or zine before committing to an order. These can be more competitive on price but you'll often lose some of the personal customer service. As with anything when spending time and money - do your homework, weigh up your options and get a few quotes on price. The examples below are by no means the only Print companies available but are ones we at Ffoton can recommend. And if you've used a reliable and affordable commercial printer in Wales and wider UK you feel would be useful to share with others on this page, we're happy to add a few more based on solid recommendations. Before sending your work off for final print, always do a test or a proof - it's the only way to be sure of print quality, paper choice and the 'feel' of the finished photo book or zine. When your unique one-off or limited edition print-run book or zine is ready, you can show it off to the world online (hungry for yet more new photo books and zines) by either photographing all or just a few spreads and/or create a short flip-through video. When it's done, post your video to either YouTube or Vimeo - both of which offer easy ways to embed and share your video on your own or other websites. You can explore using a small existing video camcorder or your digital camera to shoot your overhead video but be aware that weight and stability are common issues. Probably one of the easiest solutions to allow you to work quickly and avoid heavy gear is by using your mobile phone if it has HD video capability. All you need is a good mount/clamp for your phone that has a standard 1/4" screw hole to attach to a small quick release plate, tripod or arm - there are numerous variations available on Amazon or eBay at a range of prices but you can usually pick up inexpensive models (sometimes attached to cheap selfie-sticks) for around £1.00.